I love living here - it is walking distance to the CBD and river, and free busses right out the front going everywhere. The apartment is a huge 2x2 with a big balcony and views of the city, and even a rubbish chute. Dishwasher, air conditioning/heating in all rooms, proper coffee machine, washing machine and dryer. Bathroom photos are your actual bathroom. Brand new secure building with - heated pool, snooker table, outdoor BBQ and entertainment area. Gym AND Sauna also. Fully furnished but if you wish to bring your own bed/furnishings then no problems either. Unlimited 100Mb NBN internet and ALL BILLS INCLUDED! 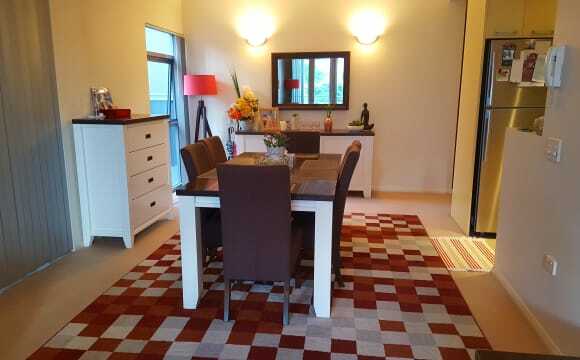 Amazing secured apartment located on the 18th floor. 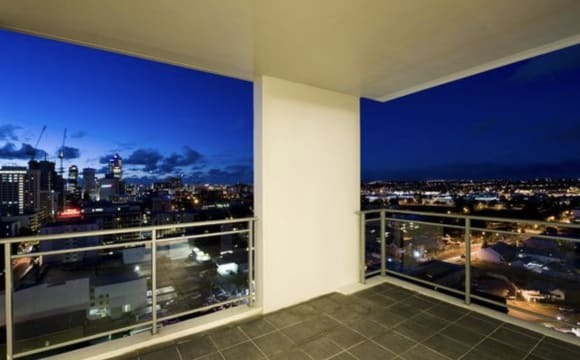 Huge corner balcony overlooking the city, river and Burswood. 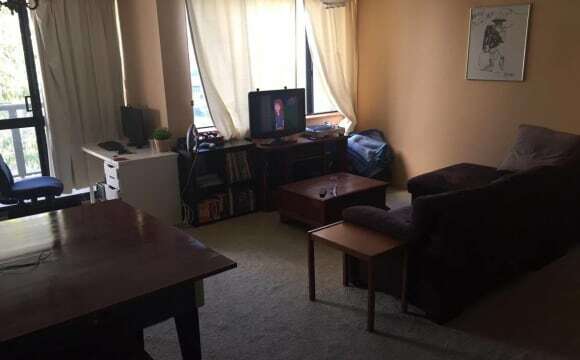 Apartment is fully furnished except for the room. Complex also has a swimming pool, spa, gym and tennis court. 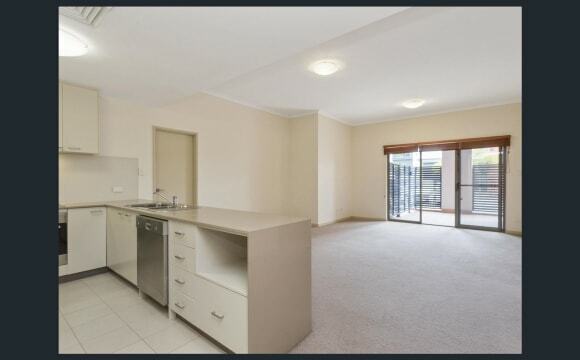 MASTER ROOM Available in CBD area, Adelaide Terrace. The apartment is located in a Luxury Complex with: - 20 metres Heated Swimming Pool - 2 gyms (Cardio Gym and Weight Gym) - Sauna - Outdoor BBQ and Guest Area The apartment is at the top floor of the building and offers: - Unlimited WI-FI - large Living Room and huge Balcony - Air Conditioning - Storage Room Electricity bills to share with Double room Guests (approx. $10/week) the Area is a Free Transit Zone (FREE BUS) and the Bus Stop is 50 metres from the Building. For Any Question, Please contact me at: Thanks! 2 bedroom apartment in a well-maintained block only a short walk from the CBD and close to all amenities. The apartment is very safe, with security doors to enter the building and carpark. The house features a nice balcony that looks out onto a quiet and leafy street; a fully equipped kitchen, washing and drying machine; shared medium sized bathroom with bath and shower; and separate shared toilet. Close to Yellow and Red cat busses, and walking distance from Hay street. Street parking available upon request of permit. 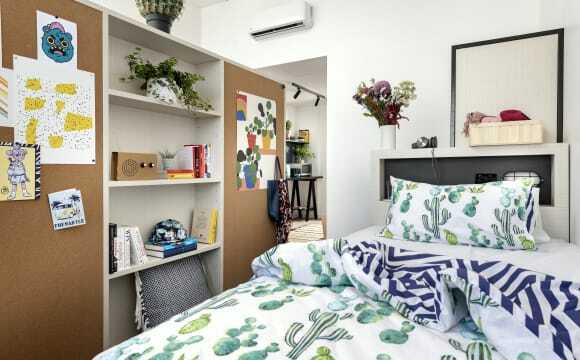 The price includes all bills, including unlimited NBN internet, water, electricty, Netflix &amp; Stan. Private Large Modern Bedroom on the second floor with ensuite, a small balcony and a great view. A single bed is available for use but we can put it into storage if you’d like to use your own. The main living space downstairs has a smart tv kitchen and meals area. Wifi is included. Free Cat bus to the city, IGA, cafes, bars and the river right at our doorstep. 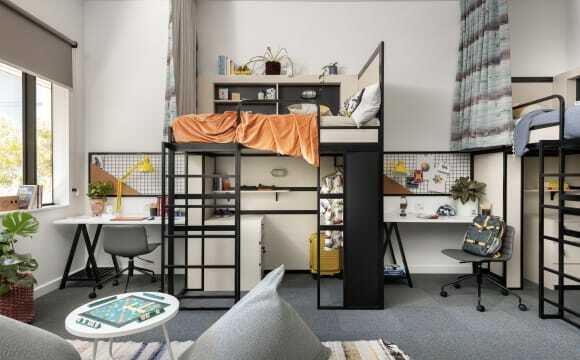 This is an incredible one of a kind NY City style studio loft. It has been recently fully renovated including a beautiful brand new bathroom and colourful artwork. 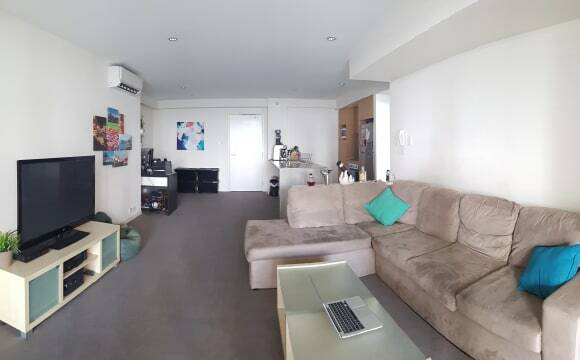 An amazing space with lots of natural lighting and a large communal lounge room it is only 15 minutes walk from the Perth CBD. The CAT bus stop is 2 minutes walk and takes you to the centre of the city in less than 5 minutes and it is 10 minutes walk from the absolutely gorgeous East Perth foreshore, Langley park and the newly opened Optus stadium. It also has a fully soundproofed recording studio so if you are a singer/songwriter/actor/actress and want to record your own music you are welcome to use that and it also has a professional lighting kit and green screen space if you enjoy photography or video making. There is also parking downstairs in the warehouse if you have a vehicle so you won't have to pay for street parking. 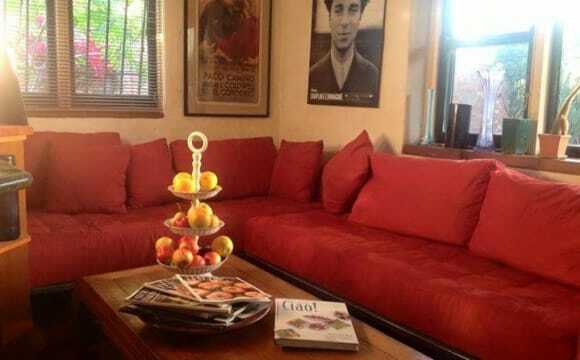 High speed internet and all bills included in rent. 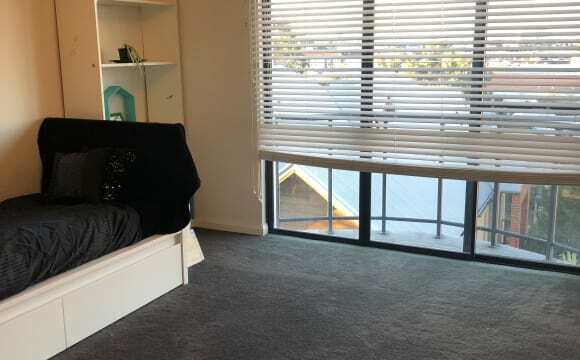 Clean furnished property in inner city areas of East Perth Walking distance to the river, city less than 10 minutes drive/bus, shops and gym nearby One bedroom with bed, mirrored wardrobe and tall boy in East Perth ($160) on top floor in secure small complex Housemates are two females studying/working with their own bedroom. Only one person per room. 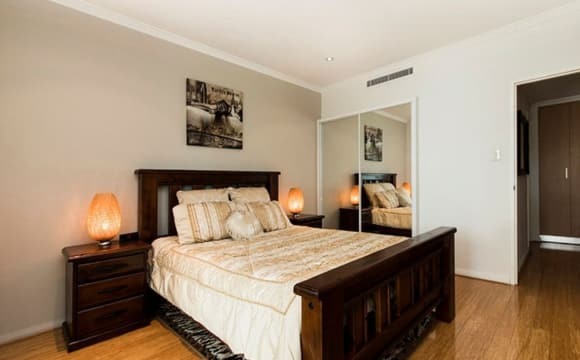 The apartment is located in Claisebrook cove, which is a beautiful part of East Perth. If you like being outside there is no better place in town. The CAT bus will take you straight to the center of town, which is great for work and social events. The downsides are, no TV and no washing machine, but I'm working on it. The property comes with everything else, you just need things for your room. Those things aside come and have a look, I don't think you will be disappointed. Ideal for fifo and my roster. 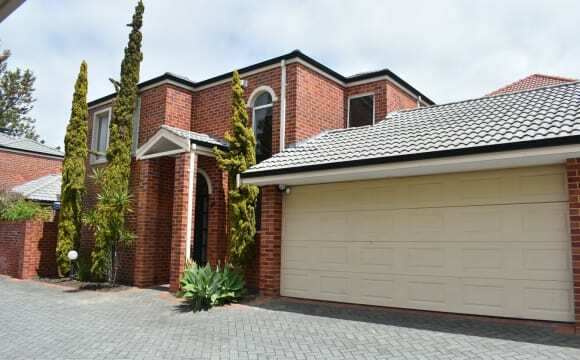 Great quiet location in East Perth, short walk to the river, stadium, restaurants, city, close to the airport etc. Pool is nice for summer. Only three storey complex. One minute to CAT bus. Prefer someone 35+ please and only non-smokers. 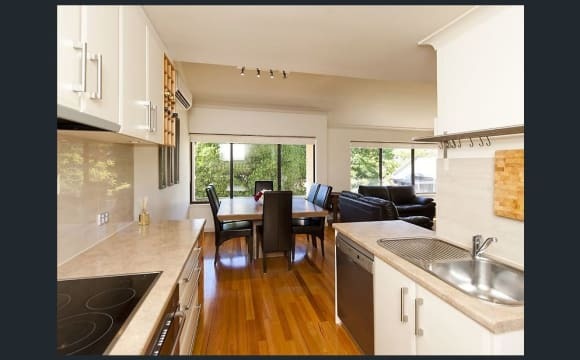 I'm looking for one amazing lady to join me in a sweet East Perth apartment. It's well taken care of, fully furnished and you get your own bathroom. This baby is surrounded by a mass of bus stops (too many some would say) and there is an IGA serving up the most amazing prosciutto just a 2 min walk downhill. For those that like to get sweaty, there is a room with some gym equipment or an F45 club just down the road. Working washing machine and dryer. HUGE balconay with occasional views of fireworks and we are only one floor away from being on top of world. We also get to enjoy a rooftop entertaining area with a BBQ, perfect if you know how to flip a sausage. Netflix and Apple Tv all set up and ready for you to enjoy. Preferebly a young professional :) No pets. Next to train station two stops from the city. Great neighbourhs. Foxtel, Netflix, Internet, wood floors. Off street parking negotiable. 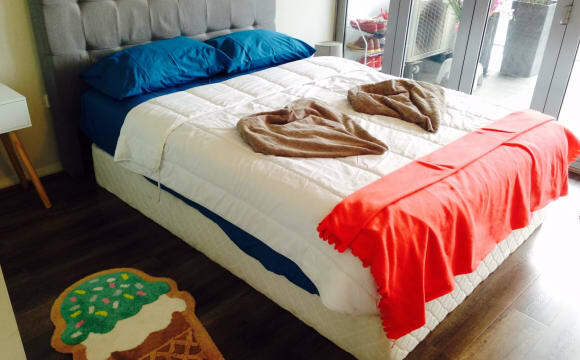 Furnished room with queen bed. I am easy to get along with, I have a sense of humor and I am light hearted. I am clean and I work a lot so I am not at home regularly. I have a partner named Oscar who does not live with me but you will see him often. 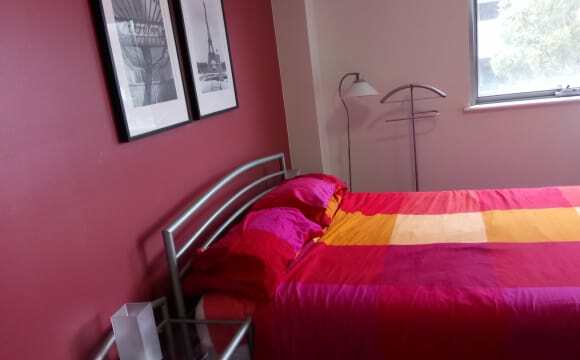 Fully Furnished main bedroom with large ensuite, walk in robe and access to the balcony overlooking Wellington Square. Electricity and Internet included, as well as general household items involving cleaning and laundry products, toilet paper, etc. Therefore the only costs that need to be considered is the rent and your food! The unit is located in an ideal location, being central to just about everything whilst still being accessible and unaffected by peak traffic. If you need to travel some distance then the Graham Farmer Freeway is at your disposable less than a kilometre away! The complex consists of a limited number of units, which means foot-traffic is minimal and it is generally quiet, plus there is always available on-street parking. The apartment includes swimming pool, pool table, gym, sauna and a bbq area. Netflix, pool, gym and common entertainment area available to use. Free transport at the door, apartment is amongst shops and restaurants. 10min walk to CBD. Better location impossible. Its in the hard of the city but still a quiet place. Perfect if you need to use public transport. We are in the free zone area. The apartment is big and clean. 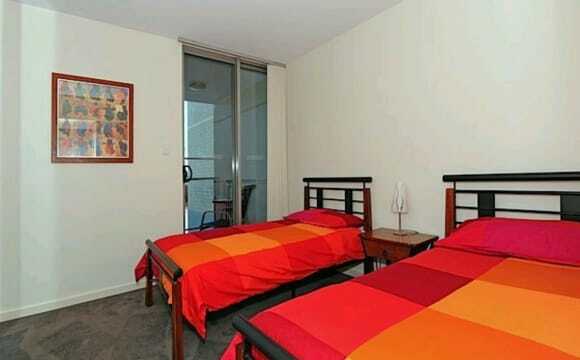 You can rent 1 room (single person), share- bathroom with one * Great Location - edge of CBD, street leads to train station. Or short walk to free bus to city * Quiet, secure small complex of 6 townhouses * Fully Furnished Rooms with Double bed Desk, Chair, BIR, Bookcase * Air con - reverse cycle * 60 inch TV * Dishwasher, microwave Washing Machine/Dryer * Lockup Garage- remote controlled $10 /wk extra * Security Alarm * Bills included except Synergy which is divided by the number of tenants * Quiet neighbours As long as you look after the place and pay the rent I will be no problem to you at all. No Party animals please.